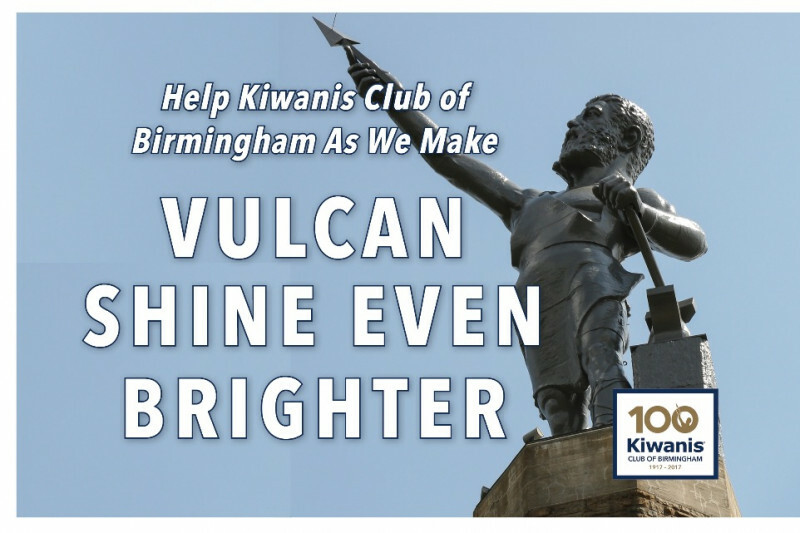 Donate today to see Vulcan shine even brighter over our great city. The Kiwanis Club of Birmingham invites you to help us with the final phase of fundraising for the historic improvements we've made upon our city's iconic image. The world's largest and most influential Kiwanis Club is in the final stages of a multi-year project to enhance Vulcan’s role as the heart of a new and dynamic Birmingham with its $5.8 million major improvement project to celebrate the club’s 100th-year anniversary. With the project already complete and open to the public with rave reviews, the Club has already raised close to $5 million — and now invites you to help us finish our fundraising with a donation! Join the Kiwanis Club of Birmingham to enhance Vulcan’s role as the heart of a new and dynamic Birmingham with its $5.8 million major improvement project to celebrate the club’s 100th-year anniversary. 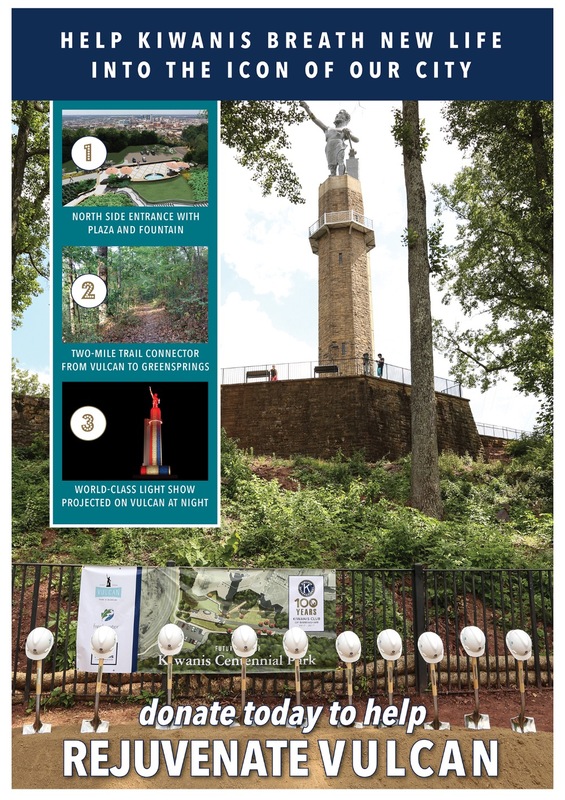 Members of the world’s largest Kiwanis Club are celebrating the 100th anniversary with a $5.8 million campaign to dynamically light the statue and pedestal, restore Vulcan Park’s north entrance, enhance the view of the park from the city, create the Kiwanis Centennial Plaza and fountain, and complete the Kiwanis Vulcan Trail envisioned nearly a century earlier. Kiwanis members along with corporate and community partners have been working together to bring the Kiwanis Centennial Park Project to life. It is already serving as a catalyst for renovation, rejuvenation and transformation for a new Birmingham. Since it opened in late March, more than 10,000 visitors have already walked on Kiwanis Vulcan trail! 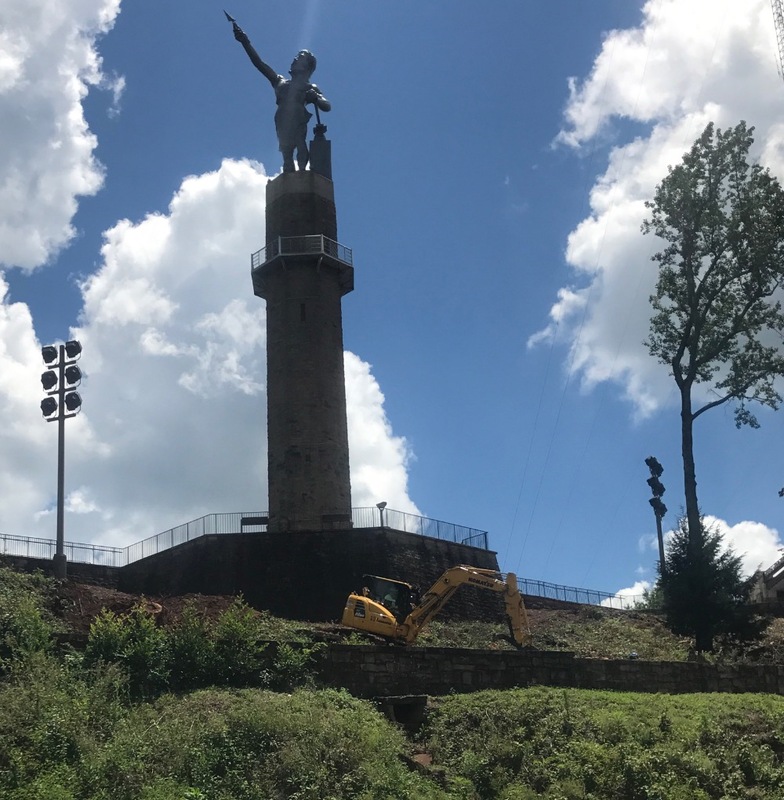 • The north side of Vulcan Park was in disrepair. Now with the new Kiwanis Centennial Park plaza and fountain, Vulcan is reconnected to Downtown Birmingham physically. It features landscaping on the north side of the park, renovation of the lower piazza entrance and new steps for walking access from the north side to the statue itself. • The second component is a 2-mile jogging and biking trail extending to Green Springs Highway and serving as the future hub for the planned 750 miles of Birmingham’s Red Rock Ridge and Valley Trail System. 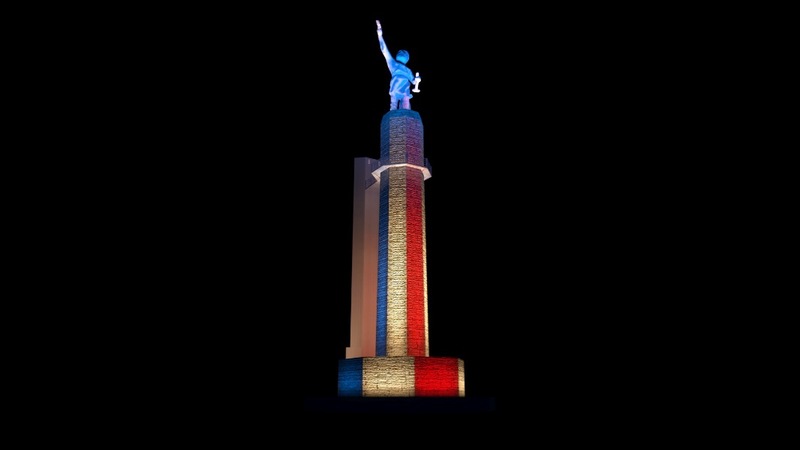 • The third component is a dynamic, multi-colored light show shining onto Vulcan at night. Join the Kiwanis Club of Birmingham as we finish fundraising for these major improvements to the great symbol of our city. We are encouraging residents and visitors to donate to this landmark project. Together we can make Vulcan shine even brighter over our city. Construction update: Brasfield & Gorrie crews are constructing storm drainage and stairs while Brown Mechanical begins installation of the fountain equipment. 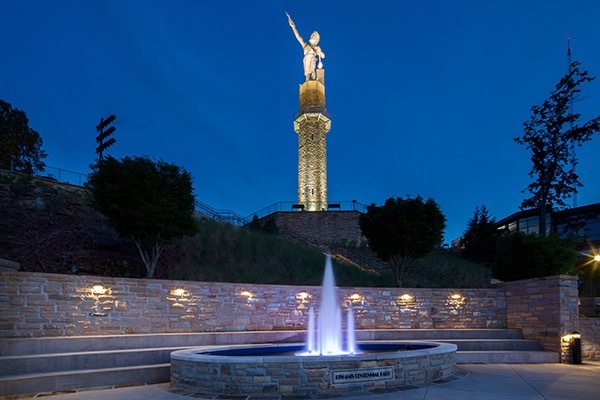 The Kiwanis Club of Birmingham is making great strides in raising the $4.66 million for this revitalization of Vulcan Park with more than 80 percent of the funds pledged from members and corporate partners. We welcome donations in all amounts from the community wanting to be a part of the historic project. 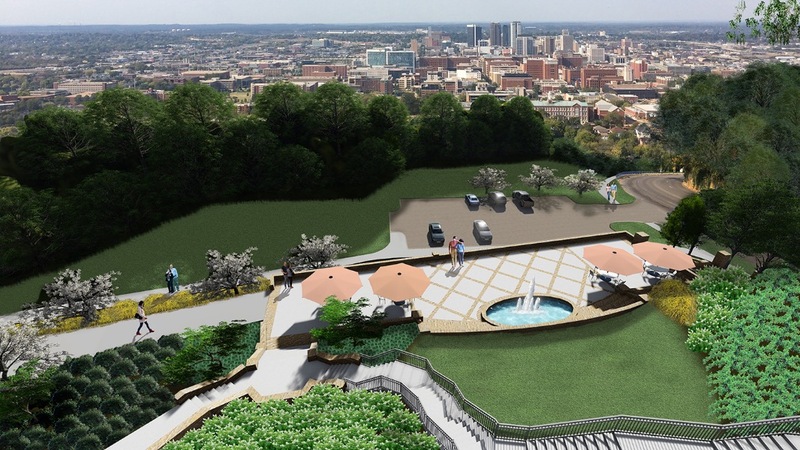 The project will reconnect Vulcan to downtown Birmingham with the restoration of the north side of the park with a new municipal and event space to be called Kiwanis Centennial Park. 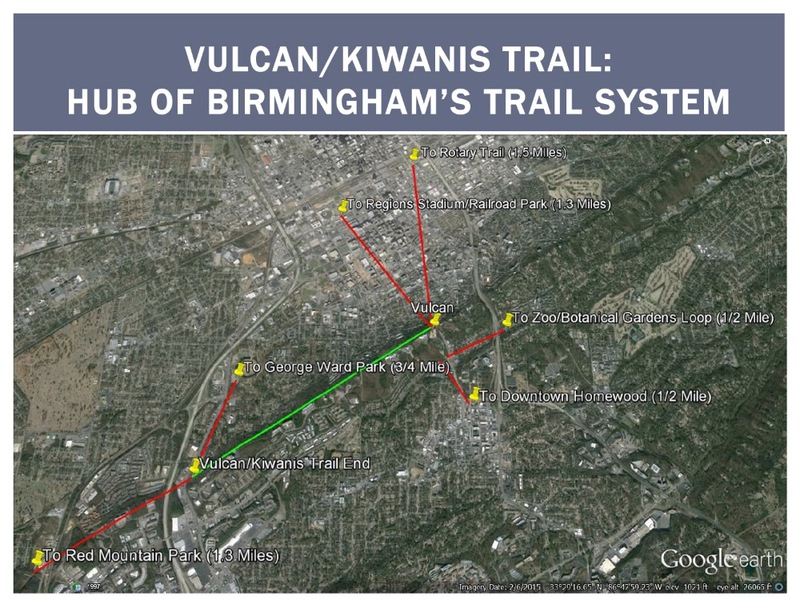 Another major component of the project is a two-mile jogging and biking trail, Kiwanis Vulcan Trail, that will extend to Green Springs Highway. The project also includes new landscaping, increased parking, and the addition of a multicolored light show shining onto Vulcan each night. 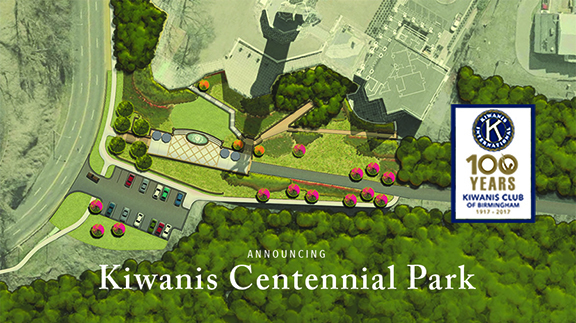 Watch our latest video of the groundbreaking for Kiwanis Centennial Park, the $4.66 million expansion to Vulcan Park. We invite you to join us as we improve upon our city's iconic image. Thank you to Starnes Publishing for producing the video for us!